Earlier this week, I published a post called “Making a Difference” in which I pointed my readers to a family who stopped focusing on “church-stuff” in order to actually make a difference in people’s lives. In the last few days, I’ve run across other people who are also living out this concept of making a difference as the church. 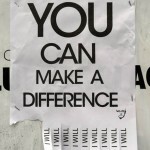 So, please read those posts… and ask God how he wants you to make a difference in someone’s life. In this series of posts, I’m looking at “ministry” (“service”) – the two terms actually come from the same Greek term: διακονία (diakonia). In my introductory post “What is ministry?“, I said that I was planning to examining the basic nature of ministry (service). In the next post – “The basic aspects of ministry (service)” – I suggested that there are three basic parts of any type of service: 1) Service is provided by an individual or group. 2) Service is received by an individual or group. 3) Service is a need recognized (as a need) by the receiving individual or group. So far, I’ve talked about any type of service. But, when we turn to the New Testament, we’re primarily interested in a new type of service – a service that is done in Jesus’ name, empowered by the Holy Spirit. There are certainly differences in this type of service. However, we should remember that it remains “service” at its base. So, what’s different about this kind of service? Ministry (service) in Jesus’ name is still a form of service. 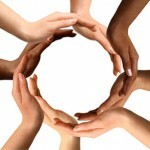 Thus, it is still performed by one person (or group) in order to fulfill a real need of another person (or group). And, just like normal service, the person(s) being served recognizes the need being fulfilled as a real need. The person giving the service cannot make that decision. But, there are big differences. For one thing, when serving others in Jesus’ name, the motivation is different. There are many ways to say it (many ways that the authors of Scripture say it): loving God, loving others, trusting God, obeying God, following Jesus, being led by the Spirit, etc. But, they all boil down to one thing: God motivates the service; he is the reason that the service is being done. Even though there is a real need, the person(s) perform the service because of God. Beyond the motivation, there is also an extended purpose for serving in Jesus’ name. While the service (if it is service) does meet a need recognized by the person being served, there is also an additional purpose in serving in Jesus’ name. That purpose is to see others know Jesus and to grow or mature in him. But remember, even if this different motivation and this different purpose is present, the person may not be serving someone else if the basic aspects of service are not met as well. This does not mean that the action is not valid or good, but it may not be service. We’re doing a disservice (pun intended) when we call something “ministry” or “service” when no one is actually being served. In my introductory post “What is ministry?“, I said that I was planning to examining the basic nature of ministry (service). Remember that in the New Testament, the terms “ministry” and “service” are both translations of the same Greek term: διακονία (diakonia). 1) Service is provided by an individual or group. 2) Service is received by an individual or group. 3) Service is a need recognized (as a need) by the receiving individual or group. 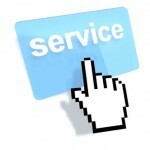 There are a few issues related to these three basic aspects of service. For example, service is costly (in some way) to the individual or group providing the service. The cost could be in resources, time, energy, etc., but it is some kind of cost. On the other hand, regardless of the cost involved, if the service does not provide a need that is recognized as a need by those receiving it, then it is not actually a service. The one(s) receiving the service bear the responsibility of recognizing the act as a service. The one(s) providing the service cannot make that determination. Here’s an example. Suppose someone needs food and water, but does not need clothing or shelter. Someone providing food or water has provided a service. But, someone providing clothing or shelter has not provided a service. Of course, providing a service does not mean that the entire need has been met (which is usually impossible), but it does mean that some actual need has been met. Remember, the need provided through service may not be something physical such as food, water, clothing, or shelter, although it can be. Service could also include providing emotional support, advice, training, etc. Service could also refer to simply listening to someone else. But, even in those cases, the person(s) receiving the service are actually in need of that service, and they recognize that need. Now, when we talk about “ministry,” we’re usually talking about a specific kind of service, but it is still a kind of service. (Remember, the same term was used by New Testament authors.) 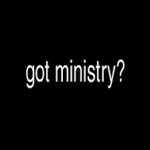 So, while “ministry” may refer to something more than basic service, it cannot refer to something less. In the next post, I’ll begin to look at some of the differences (or additions, rather) to this basic kind of services for those of us who are in Christ and who are serving people in his name. Last week, I travelled out of state for a few days for business. The trip went as planned until we were ready to fly back. Soon after arriving at the airport, we found out that our flight had been cancelled. During the next few hours (and into the late morning of the next day), we worked to get back home. This experience also caused me to think about the term “service” in general, especially when it comes to the church and followers of Jesus Christ. In the New Testament, the Greek term διακονία (diakonia) is the term normally related to “service.” The same term is also translated “ministry” and “the office of the deacon” in many translations of the New Testament. But, what does “service” mean when it comes to the church and to followers of Jesus Christ? Is this different than “ministry”? What makes them different? Why are different terms used? 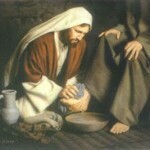 Did Paul intend for “service” and “ministry” to have different meanings? Over the next few days, I’m going to consider these questions and others in relation to the terms “service” and “ministry” related to the Greek term διακονία (diakonia). Yes, it’s Independence Day in the United States of America. But, I’m not writing about our political independence from Great Britain. Instead, like many Christians, I’m writing about our freedom in Christ. But, my take on this freedom we have in Christ may be a little different. You see, according to Paul’s letter to the churches in Galatia, Jesus has set us free from our slavery to sin and the law so that we now have the freedom to make ourselves slaves to one another. That’s right… we are now free for ourselves; we are now free to become slaves. Between these two verses, Paul explains that those who are in Christ are no longer slaves to the law and sin. Christ has freed them. And, just as they trusted in Jesus Christ for salvation, he exhorts them to continue to live by “faith working through love” – not through any kind of law-keeping. Paul is concerned that someone is telling the Galatian believers that they must continue to keep the law to remain in God’s good graces, and he reminds them that this teaching does not come from him. But, on each side of verses 2-13, there seems to be contradictory statement. First, in Galatians 5:1, Paul tells his readers that since they are free in Christ, they should never again submit to a yoke of slavery. Then, just a few sentences later in Galatians 5:14, he tells them to use their freedom to serve one another through love. Interestingly, the verb “serve” in Galatians 5:14 is the verb form of the noun slave (which Paul condemned in Galatians 5:1). When we serve one another, we are demonstrating God’s love to one another, and thus keeping the Great Commandment (as Jesus might say) or fulfilling the Royal Law (as James might say). I really appreciate a recent post by Roger at “SimpleChurch Journal” called “Appointed as Senior Pastor: the Best thing that Ever Happened to Me.” You may be thinking that’s a weird quote for someone who publishes a site called “SimpleChurch Journal,” but you’ll understand when you read it. When Roger was appointed as a senior pastor, he realized that God desired for him to use his spiritual gifts to serve others. He realized that in spite of his weaknesses, God could use him in the life of others. And, now, he understands that God desires the same thing for ALL of his children… not just those who have been appointed as pastors. Of course, one of the reasons that all of us don’t see ourselves as ministers/servants like this is because we see certain people as special ministers/servants (i.e., the “pastors” – or whatever other title we might use for them). 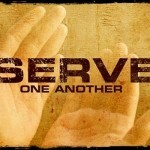 While we all serve in different ways, we are all servants/ministers. We are all “pastors.” If we see ourselves as pastors, then perhaps we will also recognize that we (all of us who follow Jesus) have the privilege and responsibility of serving one another and others in Jesus’ name. Last Friday, I posted that I’m interested in started another “chain blog.” (See my post “Time for another chain blog? But what topic…” for an introduction to and explanation of chain blogs.) I mentioned a few possible topics, and several people were interested in the topic of “unity.” One commenter, Greg, suggested that we include true stories of how we have prevented or overcome division in order to live in unity with other followers of Jesus Christ. Greg’s comment reminded me of a book that I read a few years ago. The book is called Your Church is Too Small and was written by John Armstrong. In this book, Armstrong makes a distinction between a unity that is only conception, theoretical, or spiritual and a unity that is both real and relational. “Relational unity” is visible, palpable. It can be pointed out and experienced. It can also be quenched and grieved. Few (if any) would argue that the church today rarely shows relational unity across denominations, theological systems, historical traditions, institutions, organizations, or even “local churches.” We occasionally attempt to relate to those who are like us and who believe like us (although even this is difficult in today’s church where acquiescence to a set of beliefs has replaced true community). When we do show relational unity with coworkers, neighbors, family members, etc., it is often considered to be something different than church – less than the church. Thus, the church today is splintered and fractured, and lives as an anti-apologetic to the good news of Jesus Christ. If we are “one” as the Father and Son are one, then we are united. If the world around us is affected by the unity, then it is a unity that can be seen, experienced, recognized… it is real. If it is a unity related to “us,” then it is relational. Thus, in just this short part of Jesus’ prayer, we can see that it is our “real relational unity” that is an apologetic to the world that God the Father sent Jesus into the world. Our divisions, then, work against that proclamation. 1) If you would like to write the next blog post (link) in this chain, leave a comment stating that you would like to do so. If someone else has already requested to write the next link, then please wait for that blog post and leave a comment there requesting to write the following link. 2) Feel free to leave comments here and discuss items in this blog post without taking part in the actual “chain.” Your comments and discussion are very important in this chain blog (both on this post and the other link posts in the chain). 3) When you write a link in this chain, please reply in the comments of the previous post to let everyone know that your link is ready. Also, please try to keep an updated list of links in the chain at the bottom of your post, and please include these rules at the bottom of your post. 13. Who will write the 13th link post in the chain? Four years ago, I wrote a post called “Equipping for what?” The point of the post was to examine and consider Paul’s instructions in Ephesians 4:11-13. 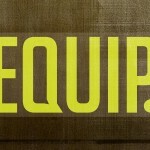 “Equipping” is very important… but what are we to equip one another for? What’s the purpose of “equipping”? Why should we care? How do we do it? These are some of the questions that are raised and partially answered in this short post. I have argued before that these are a sample of the gifted individuals, and that these are not intended by Paul to be set above any other gifted individual (for example, see “And he gave… (Ephesians 4:11)“). Instead, I see this as a non-exhaustive list of gifted individuals, just as Paul gives other non-exhaustive lists (Romans 12, 1 Corinthians 12). However, in this post I do not intend to discuss these spiritually gifted individuals. Instead, I want to talk about their purpose. Jesus gives gifted individuals (all of us, actually) to the church in order to equip the church… that is, to prepare the church. But, a question remains: Prepare the church for what? If my son wanted to play football, he would need to be prepared. If he wanted to take a driving course, he would need to be prepared. But, in either case, the preparation would take on different form. Paul says that gifted individuals prepare the church for “the work of ministry”. What does this mean? It means that we are to prepare one another to work hard at serving other people. That’s what the phrase “the work of ministry” means. The goal of “equipping” or “preparation” is that followers of Jesus are ready and able to serve other people. I realize that this doesn’t sound very glamorous or particularly religious, but this is exactly what Scripture is telling us. We can teach creeds and confessions and apologetics and belief statements and biblical languages and theology and church history all day long, but if the people are not prepared and ready and willing to serve others, then we are not equipping one another. Notice what happens (according to Eph 4:12 above) when people are prepared for the hard work of serving others: the body of Christ is continually built up (edified) until we finally reach maturity, which is defined as “the unity of the faith and the knowledge of the son of God”. Do we want people to be united in their faith and trust in God? Then let’s teach them to and show them how to and prepare them for serving other people. Do we want people to know Jesus Christ? Then let’s teach them to and show them how to and prepare them for serving other people. Serving is hard work. It’s dirty work. It can’t be done from a platform. The church needs to be prepared to serve others. It is time for God’s people to begin preparing one another for this type of service. Remember that Jesus called leaders to be the greatest servants. If you want to lead, then serve and show others how to serve. Let’s start equipping God’s people for works of service. Have you ever heard the saying “every member a minister”? That’s actually the type of life that we see described in Scripture: every member of the body of Christ is a minister (servant). Unfortunately, I’ve heard this phrase used by the some well-meaning people who only apply it to their own church organization and to those who hold some type of formal membership in that organization and who are also under the guidance (control) of a staff member. That’s not really “every member a minister” though… that’s something different. When we are all ministers, we are all given the opportunity and the encouragement to speak into one another’s lives whenever we gather together. When we are all ministers, we recognize that we all serve differently – in different way, in different locations, through different opportunities. When we are all ministers, we value that diversity – even when people don’t serve the way WE think they should – because we know that God works his grace through all of his children as he calls them, not as we call them. When we are all ministers, we listen to one another and learn from one another because we know that we could be the recipient of God amazing love and grace through any of his children at any time. When we are all ministers, we encourage others to serve, we point out opportunities of service, we serve with others as an example, but we never coerce or manipulate others into serving, trusting God to do his work in his time. When we are all ministers, we do not compare ourselves and our areas of service to others; we rejoice that God has chosen to work through all of his children in different ways. Six year ago, I write a post called “All Day Worship Service.” In the post, I wrote about a day – that also happened to be a Saturday – that we spent with the church – all day – with different brothers and sisters doing different things throughout the day. But, the entire day was a day of worship and service. No, there was no preaching… no music, bands, or choir… no singing. But, it was definitely a day of worship service. At least, this is what I consider to be an all day worship service. What about you? For some reason, God chose to give us several opportunities to serve Him through serving others last Saturday. Saturday morning, we had the chance to video chat with some friends in another country. I’ve written about them before in the post “Praying with the Church“. 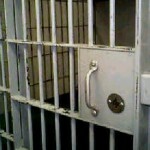 They are still in a very dark place, and they have had some physical ailments lately. It was great to laugh with them, encourage them, wish the older daughter “Happy Birthday”, etc. Saturday for lunch, I had the opportunity to eat with a couple of new friends – a father and his son. Again, we were able to discuss Scripture and God’s will and ministry while enjoying fellowship over a great meal of Mexican food. Saturday afternoon, I met with another brother and his wife to again discuss Scripture and ministry. There was no meal this time, but the conversation was as nourishing (if not more so) than food would have been. Saturday afternoon, my family helped another family with yard work. Truthfully, I did very little yard work. I arrived after most of the work had been done. This was a very encouraging time for me, because others had given up their Saturday to help as well. It is truly a beautiful sight to see brothers and sisters helping one another. 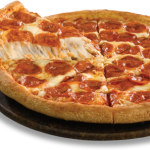 Saturday evening, we were able to share pizza and ice cream with another couple. These are very dear friends that we have known for several years. God has done a great work in all of our lives, and he keeps growing us closer to one another as he grows us closer to him. So, as I was thinking about these opporturnties to serve God by serving others, the passage from 1 Peter came to mind. I’m sorry to say that I did not think of this passage while we were talking and working with these brothers and sisters. But now that I think about it, I wonder… Did our words convey the truth of God? Were our actions carried out in order to serve by the power that God provides? If so, then we worshipped God. 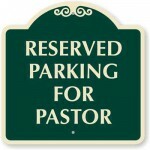 I truly believe that this is the type of “worship” service that God desires. I pray that God allows my family – and others – many more opportunities to worship him by serving others.